The Joshua Tree wilderness in the Mojave Desert may have been the home Gram Parsons was singing about. Like many, he was drawn to the barrenness of the desert for inspiration and renewal. He even asked to be buried there. The Mojave is considered high desert, its elevation over four-thousand feet. It is a harsh and dangerous place, containing both the driest location in North America and the hottest spot on the planet. A walk quickly reveals its flora are armed to the teeth with needles, thorns and spines. And its animals are the stuff of nightmares: tarantulas, scorpions, rattlesnakes, bats, kangaroo rats, coyotes, bobcats and mountain lions. At forty-eight-thousand square miles, the Mojave ranks bigger in size than eighteen American states. Most of it lies in California and Nevada. On my way out of the park, high winds buffeted the car. Sand swirled across the road. I headed south through Shoshone and into a landscape even more mind-numbingly empty than what I had left behind. Five hours’ worth. Desolation measured out in time, not miles. I passed the massive and dusty Dumont Dunes, some fifty-stories high. Then, east of Baker, Joshua trees made their first appearance on the landscape. Joshua trees look like illustrations by Dr. Seuss. They have furry-looking trunks and rooster-tail leaves. Their branches reach in every direction, like confused signposts. According to legend, the tree’s arms appeared to Mormon pioneers as the prophet Joshua pointing the way to heaven. They are not cacti, but agave. Native Americans used the leaves to make baskets and sandals. Ranchers used the trunks for fencing. 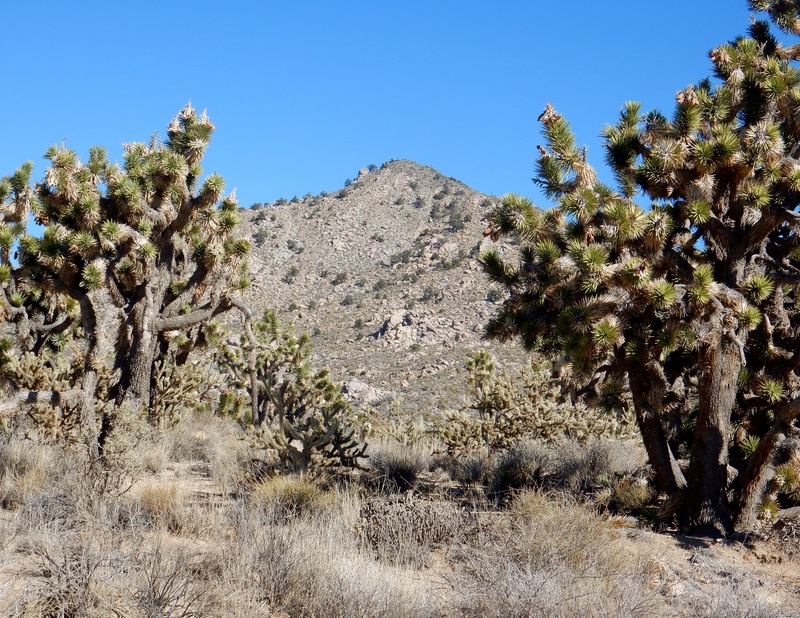 Mojave National Preserve has the largest forest of Joshua trees in the world. Thirty years ago, U2 featured a photo of one on the cover of its album, Joshua Tree. I drove through Nipton, a restored ghost town founded in 1885. A few miles out of Searchlight, traffic had to stop for two long, slow trains. I arrived in Needles, a strip of hotels, fast-food restaurants and gas stations on old Route 66. Every business, old and new, leverages its tie to the route. I spent the next day driving the preserve’s dirt and gravel roads. At twenty-five-hundred square miles, Mojave National Preserve is the third largest national park in the lower forty-eight states. Its topography varies between mountains, valleys, mesas, domes, canyons, sand dunes, cinder cones and lava flows. One of its “roads” is the Mojave Trail, the traditional path used by Native Americans, Spanish missionaries and settlers during the 1700s and 1800s. It runs across the desert between watering holes from the Colorado River to southern California, about 150 miles. Four-wheel drive is necessary on most of it. I drove past the Kelso Dunes, a forty-five-square-mile dune field. The tallest are seventy-stories high. 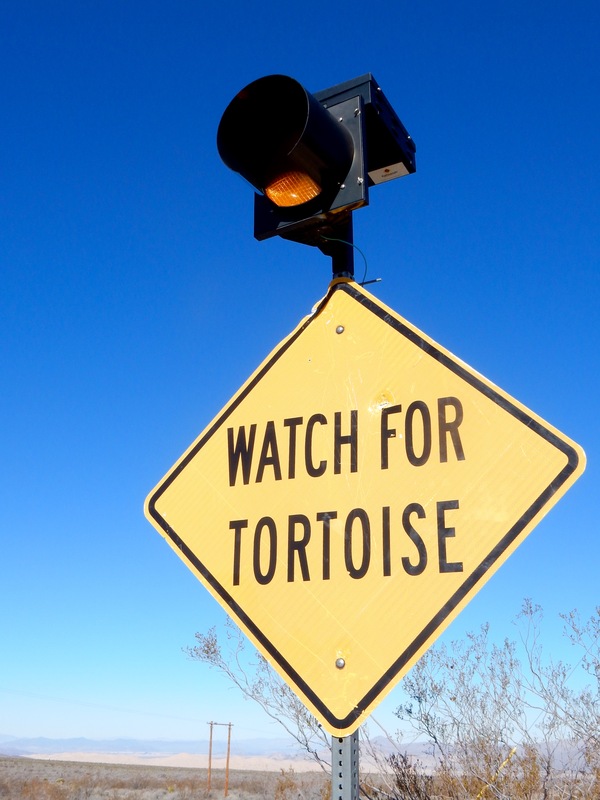 A sign in the park advises drivers to watch for tortoises. Tortoises are attracted to the park roads after rainstorms because asphalt holds standing water better than sand. The Ivanpah Desert Research Facility on the preserve is helping desert tortoises, a threatened species, survive in the Mojave. People have been able to survive in the Mojave Desert for over twelve-thousand years. The area inside the park was once inhabited by two tribes, the Chemehuevi and the Mojave. The Chemehuevi lived on a diet of prickly pear, mesquite, roasted agave blooms, deer and bighorn sheep. The Mojave traveled as far as the Pacific Ocean to trade. The first European known to enter the area was Padre Francisco Garces in 1776. He was followed by miners, ranchers and railroad workers in the 1800s. 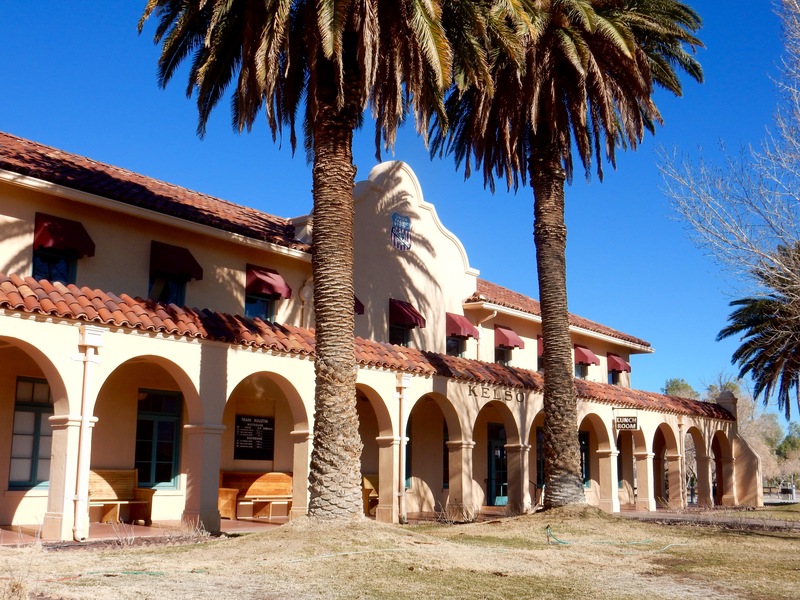 I visited the ghost town of Kelso, once a thriving Union Pacific railroad depot. The fancy depot, opened in 1924, was an important stop between Salt Lake City and Los Angeles. After the end of World War II and the closing of a nearby mine, the station fell into disuse. In 2005, after restoration, it reopened as the visitor center for the preserve. The depot and the town are on the National Register of Historic Places. Drove uphill through the park to the Cima Dome, which rises fifteen-hundred feet above the desert. It is home to the world’s largest concentration of Joshua trees. Next morning, I drove the back roads to the town of Joshua Tree. 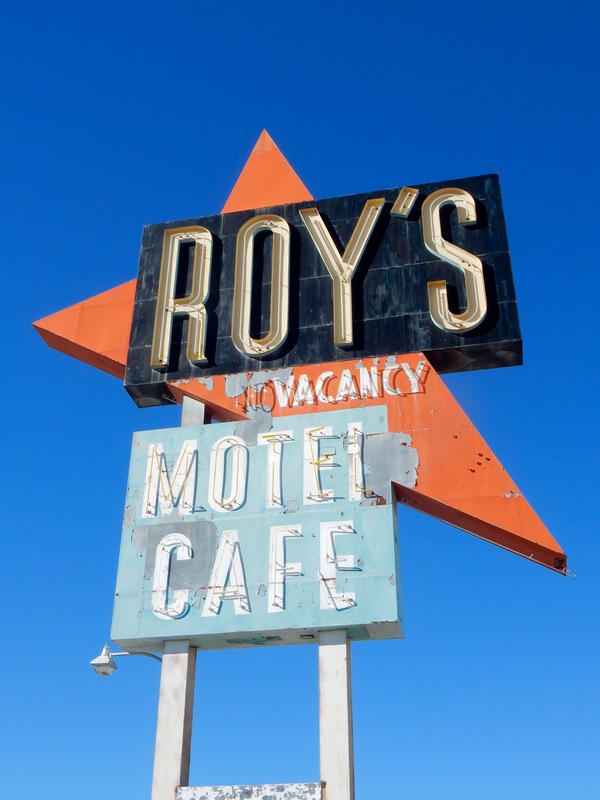 Along the way, I stopped in Amboy to take photos at Roy’s Motel and Café. Amboy, now a ghost town, is on both the National Trails Highway and Route 66. Roy’s was famous for its Jetsons-esque architecture and signage. The location has been a favorite of movie and TV producers looking for a set representing the 1950s. Just past Amboy is Bristol Lake, where salt has been harvested since 1858. Then, Wonder Valley, a sprawling development of “jackrabbit” homesteads on a desolate plain. Hundreds of derelict shacks, surrounded by chain link fences and individual water tanks. I thought it was a community of survivalists, but it is instead a colony of artists. I checked into Room 5 of the Joshua Tree Inn–just three doors down from where Gram Parsons ODed in 1973. Parsons was a member of the folk-rock group, the Byrds, long enough to mastermind the band’s 1968 album, Sweetheart Of The Rodeo. The recording is considered the first-ever country-rock album. Parsons then left the Byrds to form the Flying Burrito Brothers. A friend of Keith Richards, Parsons also influenced the Stones. Musical descendants, such as Emmylou Harris, Townes Van Zandt, Steve Earle, Ryan Adams, Wilco and Sturgill Simpson, among others, consider Parsons the godfather of what today is called alt-country. Parsons regularly retreated to Joshua Tree, before it was a national park and when it was less developed. Unfortunately, his abuse of substances killed him at age 26. His album, Grievous Angel, was released posthumously. The lobby of the Joshua Tree Inn is decorated with his album covers and concert posters. 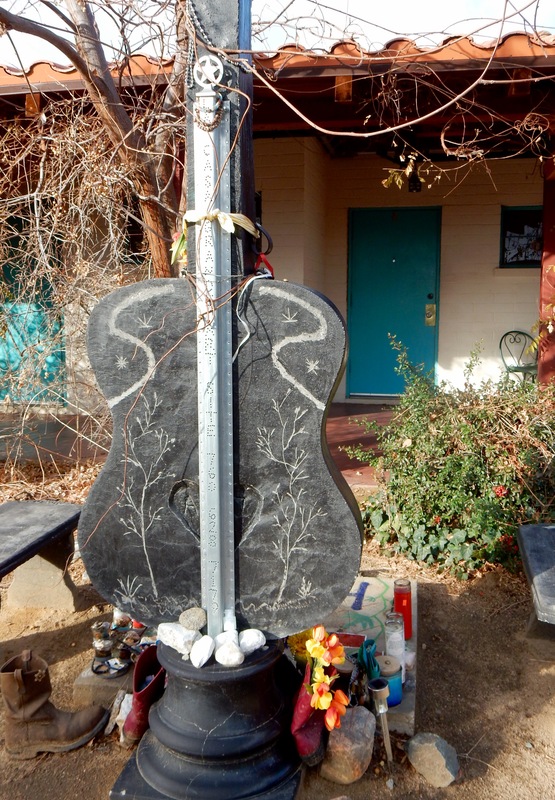 In the courtyard outside of Room 8 is a memorial to Parsons–a guitar-shaped stone and a collection of tokens, including candles, guitar picks, cowboy boots, flowers, bandanas, incense and so on. For the morbidly curious or the oblivious, Room 8 may be booked at the same rate as any other room at the motel. Rained hard the next morning. I talked to a Parsons’ fan and guitar maker in the lobby, on his way to the National Association of Music Merchants’ trade show in Anaheim. The streets in the area were flash-flooded. As I ate breakfast at Crossroads Café, a complete double-rainbow appeared. The customers and staff ran outside to take photos. Joshua Tree National Park covers an area of over twelve-hundred square miles, slightly larger than the state of Rhode Island. The park includes parts of two very-different deserts, the high-desert Mojave and the low-desert Colorado. 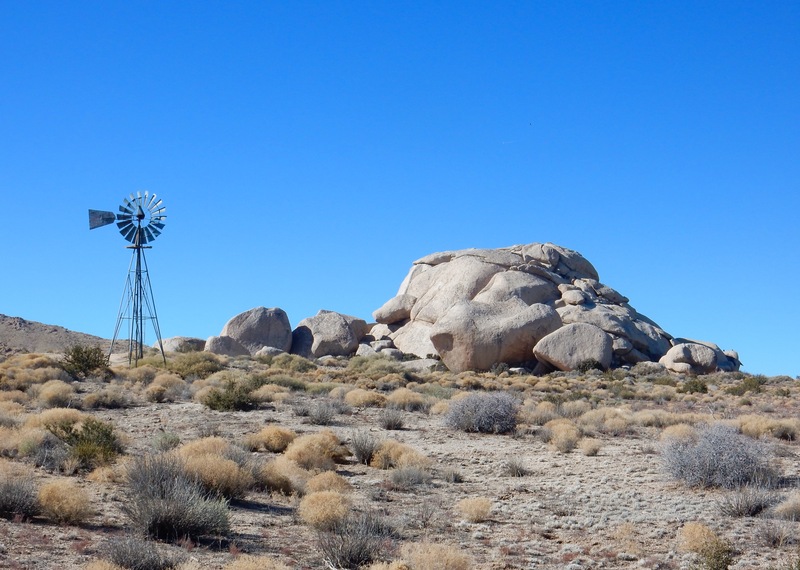 The Mojave portion is stacked with granite boulders, jumbles of stones as big as boxcars and as rounded as marshmallows. Many look as though they are on the verge of toppling. 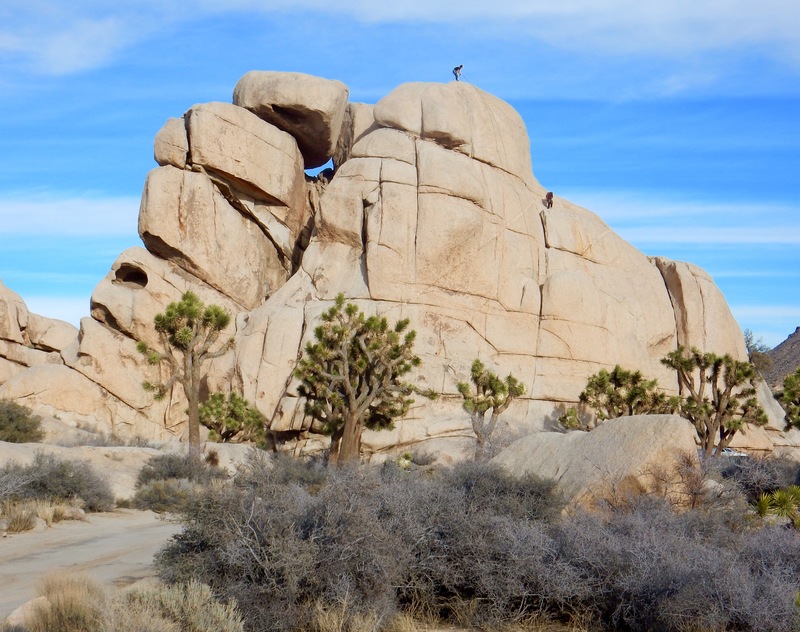 Joshua Tree has been described as the playground of a giant child. The formations were created more than 100 million years ago, as water filtered through joints in rock outcroppings and smoothed the corners and edges. The park is popular with climbers and boulderers. 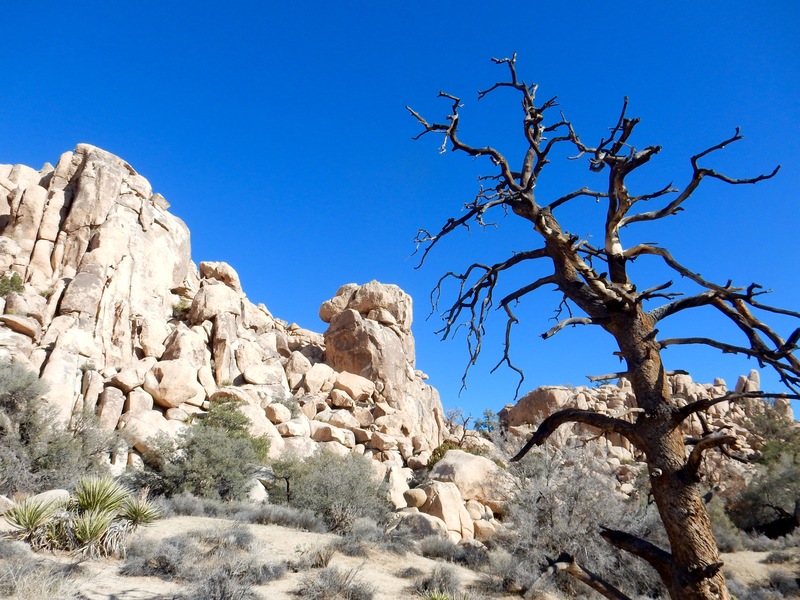 The juxtaposition of the boulders, piled helter-skelter, and the Joshua trees, limbs askew, is surreal. Joshua Tree is a cartoon world. I believe the National Park Service completely botched the naming of these parks. 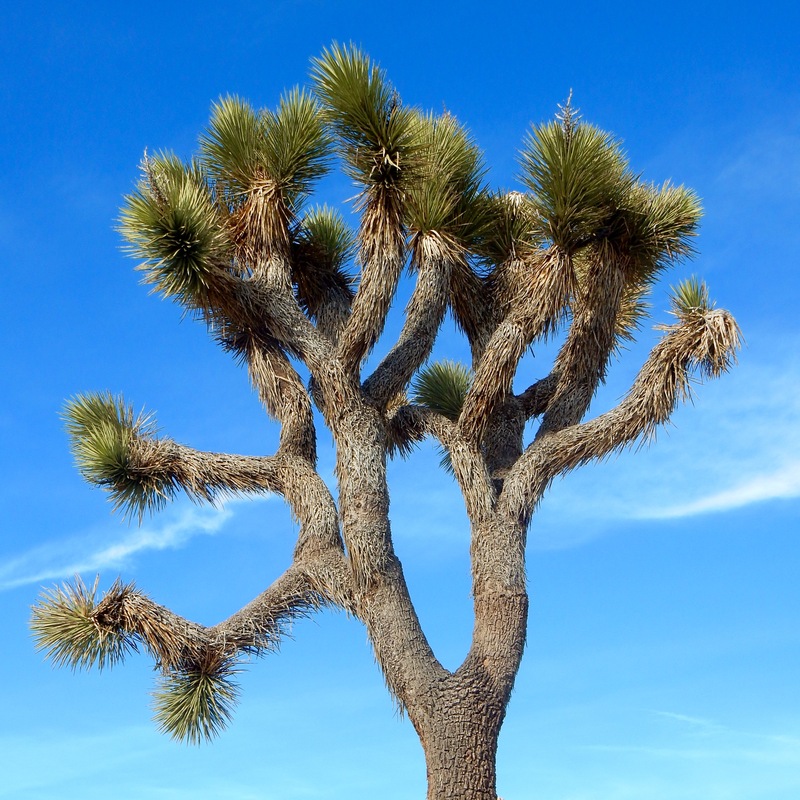 Mojave, with the largest population of Joshua trees, should have been called Joshua Tree National Preserve. 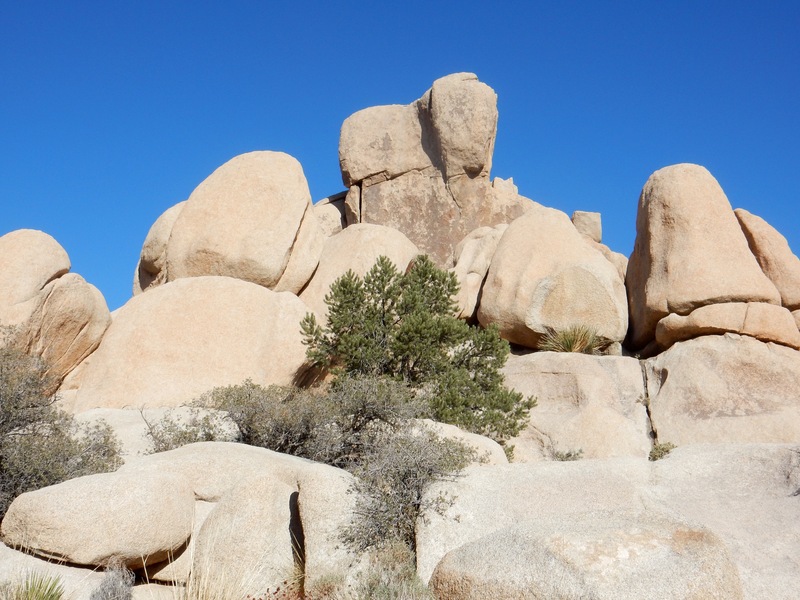 And Joshua Tree should have been named Gigantic-Heaps-of-Big-Boulders National Park. 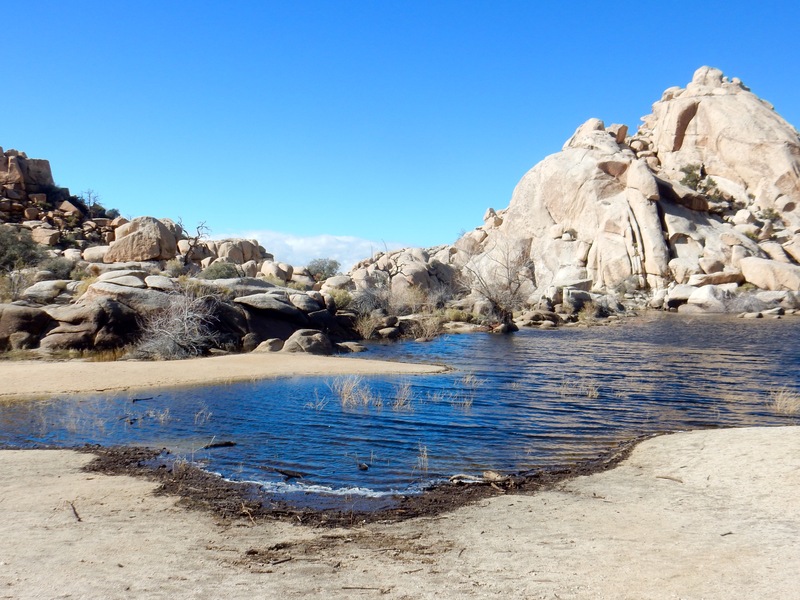 I hiked the loop at Barker Dam, hoping to spot bighorn sheep. The stream bed was dammed by cowboys to water their cattle. No sheep, but a few jackrabbits and roadrunners. Then I hiked the Hidden Valley loop. Hidden Valley is bound by rock formations, a natural corral. A narrow gap into the box canyon allowed cattle rustlers to conceal stolen cattle and horses. In the late 1870s, the McHaney Gang used the valley to graze and rebrand stolen stock, before selling it out-of-state. The weather grew windier and colder. I headed to Cap Rock to wait out the rain. According to Phil Kaufman, Parsons’ manager and record producer, he and Parsons made a pact regarding their respective funeral wishes. Following Parsons’ death, Kaufman and a friend convinced airline staff at LA International Airport to release Parsons’ body to them. 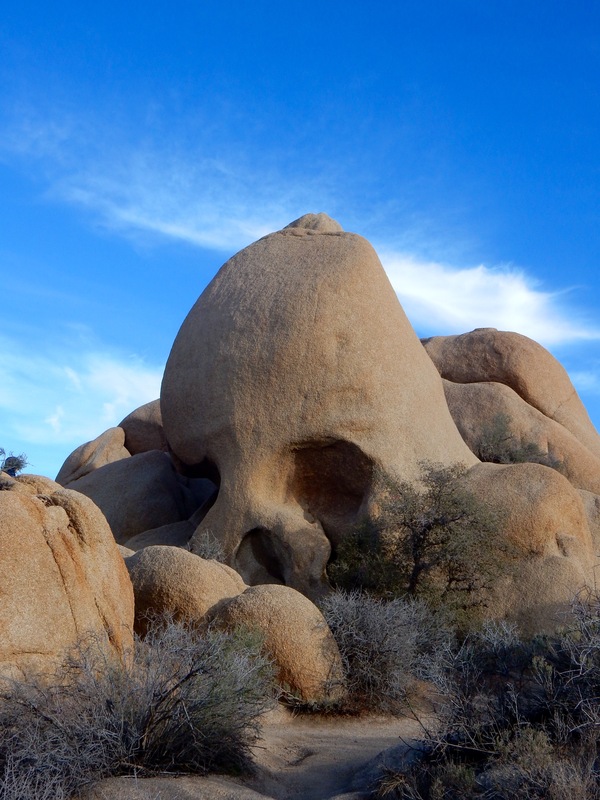 They drove it to Joshua Tree and, upon reaching Cap Rock, attempted to cremate the corpse by pouring gasoline into the coffin and throwing a lit match inside. The two were arrested several days later. As there was no law against stealing a dead body, they were only fined for stealing the coffin. The remains of the remains were eventually buried in Metairie, Louisiana. This bizarre, macabre story was told in the 2003 movie Grand Theft Parsons. At Cap Rock, fans leave tributes, which are regularly removed by the park service. The downpours continued. Next day, I left the high-desert for a low one, driving down the mountain through heavy rain and poor visibility to Palm Springs, where the streets were flooded. In the 1920s and 1930s Hollywood stars came to Palm Springs for the sunny weather and the privacy. They built homes, resorts, nightclubs, casinos and golf courses. Their playground in the desert attracted more celebrities, including Frank Sinatra, Dean Martin, Sammy Davis Jr., Bob Hope, Bing Crosby, Kirk Douglas, Cary Grant, Lucille Ball, Marilyn Monroe, Elizabeth Taylor, Clark Gable, Elvis Presley, and presidents Dwight Eisenhower and Ronald Reagan. 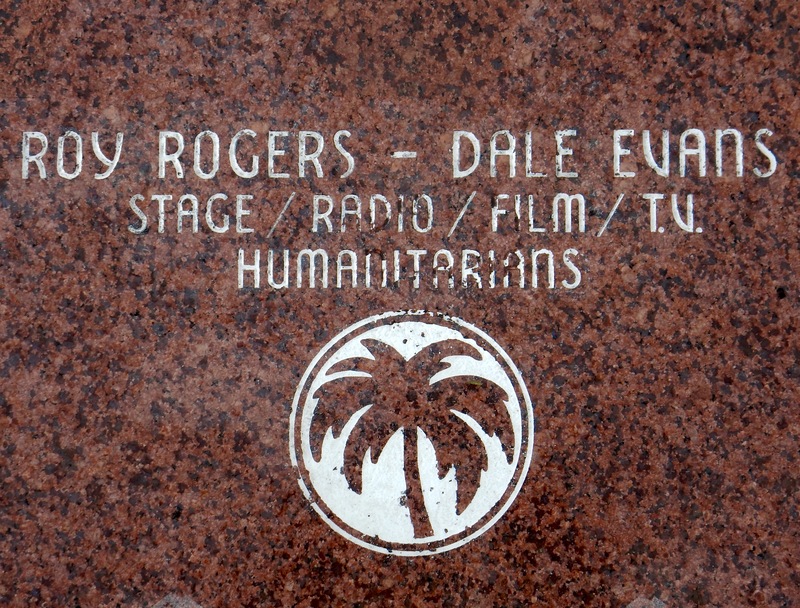 A bronze statue of former mayor, Sonny Bono, sits along Palm Canyon Drive, but the Rat Pack moved on a long time ago. Today, Palm Springs is a city of retirees and tourists. A program has preserved many of the desert-modern-style homes, built during the town’s hard-partying days. The same day as I arrived, the Obamas flew in from DC, fresh from the inauguration. Their plane was unable to touch down due to the inclement weather. Instead, they landed at a nearby military base. They probably stayed at Sunnylands, the “Camp David of the West.” Formerly the Annenberg Estate, Sunnylands has hosted eight presidents, Queen Elizabeth II, Prince Charles and Margaret Thatcher. I stayed, instead, at Casa Cody Inn, the oldest hotel in Palm Springs. It was founded in the 1920s by a cousin of Buffalo Bill Cody. The buildings, nestled against the San Jacinto Mountains, are surrounded by mature citrus trees and bougainvillea. Charlie Chaplin used to be a frequent guest. On average, Palm Springs has seventeen rainy days per year. I experienced three of them. I went to the Palm Springs Art Museum–what one does on rainy days. The exhibit, Go West! Art of the American Frontier, features works by American, European and Plains-Indian artists from 1830 to 1930. Paintings and sculptures by George Catlin, Frederic Remington, Charles Russell, Albert Bierstadt and N.C. Wyeth helped shape how Americans perceive the West, rightly or wrongly, to this day. I stopped in at the Palm Springs Historical Society to see its exhibit on the lifestyles of Frank Sinatra and other celebrities while in Palm Springs. It rained non-stop. The town’s storm sewers were overwhelmed. The streets were underwater. Passing cars plowed through, hubcap-deep, spraying pedestrians. Water lapped over the curbs onto the sidewalks. At dinner time, the water was up to my calves. I removed my shoes and socks, rolled up my pant legs and waded to dinner in the desert. Bet you made sure you didn’t run out of gas or drinking water too. Still coming back to Columbus on Feb. 20? If so, text me when you get here and we’ll meet at Figlio’s. That’s the plan. See you soon.